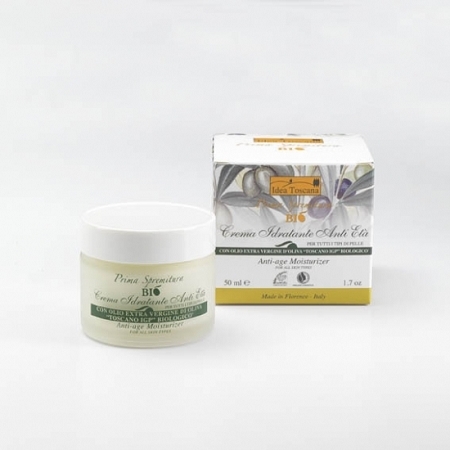 Formulated to fight the onset of wrinkles in young and old skin alike, our anti-age moisturizer “Prima Spremitura BIO” is a light blend, easily absorbed by the skin. Our non-greasy formula penetrates deeply, hydrating and nourishing the skin thanks to the restorative and anti-wrinkle properties of a combination of organic vegetable oils and hyaluronic acid. 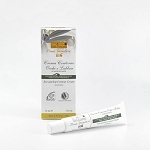 Its powers to restructure give new vitality, tone, and elasticity to tired, dehydrated skin. Daily use will redefine the contours of the face and minimize unsightly wrinkles in the neck and décolleté. Works as an excellent make-up base and is ideal when used with our Night Cream or our Eye and Lip Cream.